One of Michael Gerber’s [E-Myth Revisited author]precepts for building a business was that the business should serve the owner. In order to do that Michael preached that you had to build the business to sell it one day. 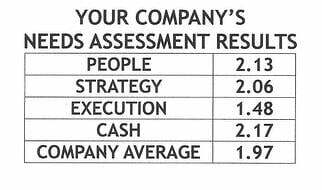 Until now I haven’t seen a good test that could accurately offer whether or not your business is ready to market and sell. Our Rockefeller Habits Checklist provides a good list of activities that when followed put your business in position where your executive team will consistently work strategically on the business, concentrating on the right things and not to be interrupted by the day to day operations. That puts the business in a position to be sellable. Ever wondered whether your business is ready to sell? Last month in our Gazelles Coaching meeting, [Yes we do follow our own coaching advice and have a monthly meeting dedicated to learning, planning and solving] John Warrillow, author of Built to Sell and one of the speakers at the October Growth Summit in Orlando offered his insights on preparing your business for sale. 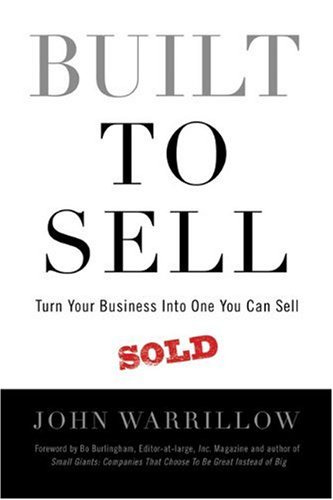 On his website www.builttosell.com he provides a Sellability Index Quiz, a 10-question test that is based on his eight steps to take to sell your business from his book Built To Sell. These are in the order you need to take to sell your business. In the Model for Selling Your Business section of the book he describes how to take these eight steps and he offers an eight page workbook to help you get started when you take the Sellability Index Quiz. If you’re interested in discovering where your business is in relationship to selling some day take the quiz. If you pick up the book you’ll find a number of ideas to help you get your business in a position to sell in the Recommended Reading & Resources Section at the end of the book. He lists ten resources and recommendations to follow. Positioning Systems LLC is in the unique position to help you with three of the ten. Does the time your employees spend socializing at work annoy you? A new Gallup book and study by two researchers suggests you may want to hold off disciplining employees for socializing at work. Details in my next blog.